Nvidia has released a new GeForce Game Ready Driver 419.67 update. The latest Game Ready Driver 419.67 brings optimal level optimization to various newly announced games such as Battlefield V: Firestorm, Anthem, Shadow of the Tomb Raider, and Sekiro: Shadows Die Twice. According to the release note, the latest update brings support for two additional G-SYNC Compatible displays, the ASUS VG278QR, and ASUS VG258. The update also adds support for Nvidia Surround using GSYNC-Compatible displays on NVIDIA Turing GPUs. 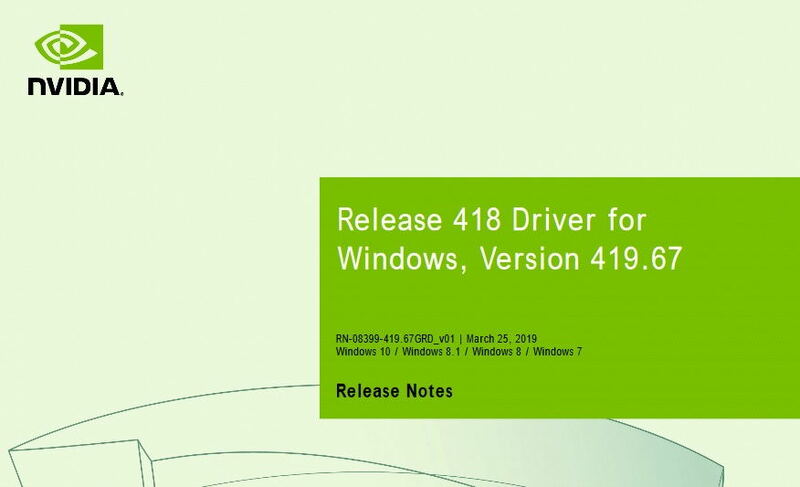 Below you can find the issues fixed in this Game Ready Driver 419.67 update.